historic arcades and buzzing precincts this Christmas. The world’s most liveable city does Christmas like nowhere else. From unique shopping experiences to time-honoured traditions. 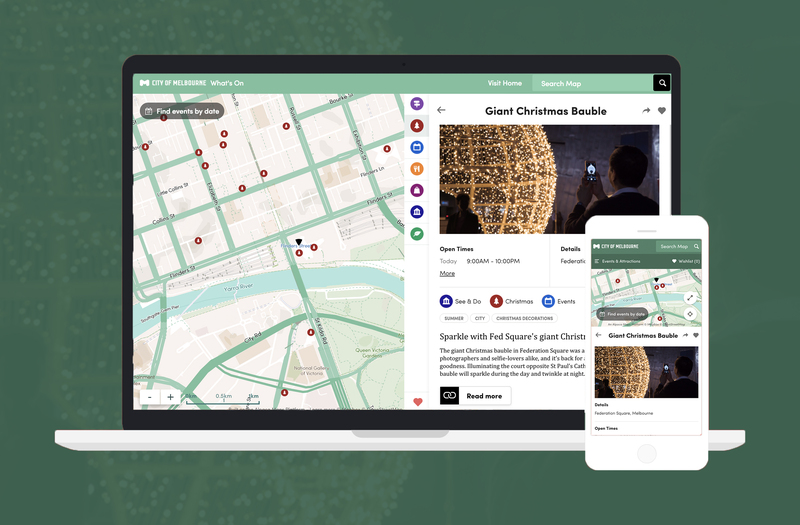 Make the most of the festive season with the City of Melbourne’s What’s On digital guide – created and powered by Alpaca.